Ocean oxygen concentrations control where organisms thrive in the ocean and provide important clues to biological productivity rates and the impacts of climate change. Yet despite being one of the oldest and most robust oceanographic chemical measurements, our understanding of oxygen cycling and variability has been limited by the infrequency of shipboard observations. Oxygen sensors mounted on Argo floats offer the means of vastly expanding the ocean oxygen database. These autonomous robotic floats change their density to profile through the water column. Shipboard observations remain important to calibrate sensors, to deploy floats, and especially to conduct intensive studies to understand the processes affecting observed oxygen variations. Oxygen data from Argo floats in the Labrador Sea, one of the few sites in the world where surface waters move into the deep ocean, have been used to determine the low oxygen content of these newly formed water masses. Oxygen data from Argo floats in the North Pacific Ocean have been used to estimate biological productivity rates over an annual cycle. Some of the new questions that can be answered using such observations include documenting and understanding recent downward trends in oxygen throughout most of the ocean’s subsurface waters (known as ocean deoxygenation) and linking oxygen cycles with other sensors now being deployed on Argo floats such as pH, nitrate, and optical properties. Roberta Hamme is a chemical oceanographer who studies the marine carbon cycle. She works on understanding and quantifying the natural mechanisms that transport carbon from the surface ocean to the deep, reducing atmospheric carbon dioxide levels. Her main tools are high precision measurements of dissolved gases, both bioactive gases like oxygen and inert gases like neon, argon, and krypton. Ongoing projects include developing methods to quantify how closely gases equilibrate with the atmosphere before surface water moves into the interior ocean, using oxygen to measure ocean productivity, and determining amounts of ocean denitrification (the transformation of bioavailable nitrate to unavailable nitrogen gas). 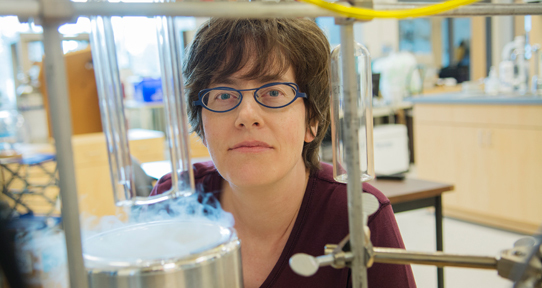 She holds a Canada Research Chair in Ocean Carbon Dynamics at University of Victoria’s School of Earth and Ocean Sciences. The Canadian Network for Regional Climate and Weather Processes focussed on quantifying and reducing uncertainties in climate projections and weather predictions for Canada’s northern regions. A number of land-related modules were improved and/or implemented in the Canadian regional climate models as part of this Network, which has led to better simulations for the region and improved understanding of processes and feedbacks. However, the climate model simulations available are still too coarse to provide information at the spatial resolution required for many engineering applications. Changing land dynamics and properties, particularly related to permafrost degradation, and extreme events can have significant impacts on both surface and subsurface infrastructure. Adapting to permafrost degradation will require remedial measures to be applied to existing infrastructure and new approaches in designing and building new infrastructure. This talk will look at some of the engineering-relevant aspects of weather and climate, including extremes, for the Arctic and will discuss impacts and adaptation strategies and framework for selected engineering operations and infrastructure systems. Due to the rapid warming projected in Arctic regions, it is very likely that at least several tipping points will be crossed, some of which might pose important risks to infrastructure. Specialized analyses of climate model outputs from this perspective to estimate important thresholds for selected engineering systems will also be presented. Laxmi Sushama is Professor in the Department of Civil Engineering and Trottier Chair in Sustainability in Engineering and Design at McGill University. She has held a Tier II Canada Research Chair in Regional Climate Modeling, leveraging her research expertise in engineering hydrology, water resources engineering, climate science and regional earth system modelling. By integrating high-latitude land-atmosphere processes, feedbacks and interactions into climate models, her research strongly influenced regional climate modelling and its applications for cold regions. Her current research also focuses on climate-sustainability nexus with a special emphasis on urban environments, climate resilience of infrastructure and sustainability in engineering design. She has also led major Networks, including the most recent NSERC-funded Canadian Network for Regional Climate and Weather Processes. Over the last decade or so, predicting the weather, climate and atmospheric composition has emerged as one of the most important areas of scientific endeavor. This is partly because the remarkable increase in skill of current weather forecasts has made society more and more dependent on them day to day for a whole range of decision making. And it is partly because climate change is now widely accepted and the realization is growing rapidly that it will affect every person in the world profoundly through high-impact climate and weather events. Hence one of the important challenges of our societies is to remain at the cutting-edge of modelling and predicting the evolution of the fully coupled environmental system: atmosphere (weather and composition), oceans, land surface (physical and biological), and cryosphere. This effort will provide an increasingly accurate and reliable service across all the socio-economic sectors that are vulnerable to the effects of adverse weather and climatic conditions, whether now or in the future. This emerging challenge was at the center of the World Weather Open Science Conference (Montreal, 2014 ) . The outcomes of the conference are described in the World Meteorological Organization (WMO) book: Seamless Prediction of the Earth System: from Minutes to Months, (G. Brunet, S. Jones, P. Ruti Eds., WMO-No. 1156, 2015). It is freely available on line at the World Meteorological Organization website. We will discuss some of the long term goals of this effort and provide examples of Earth-system modelling and prediction from urban scales to global scales. Gilbert Brunet obtained his PhD in meteorology at McGill University (1989). He is Director of the Meteorological Research Division (MRD), Environment and Climate Change Canada (ECCC) since 2006, including a secondment as Director Weather Science at the Met Office (2012–15), United Kingdom. He was awarded the 2010 Patterson Distinguished Service Medal for distinguished service to meteorology in Canada for his contributions in the field of meteorology. He was Chair of the Scientific Steering Committee of the World Weather Research Program (WWRP), World Meteorological Organisation (WMO), 2007–14. In that role, he has contributed to several international strategic planning activities in weather and climate science. From a scientific research perspective, he has been recognised as an expert in weather and climate dynamics since his post-doctoral work at the Department of Applied Mathematics and Theoretical Physics (Cambridge University, UK, 1989–91) and Laboratoire de Météorologie Dynamique (École Normale Supérieure, Paris, 1991–93). His work covers analytical and empirical studies of wave processes from regional to planetary scale, and numerical weather prediction from minutes to seasons. He has co-authored more than fifty peer reviewed papers and has co-supervised the theses of ten graduate students as Adjunct Professor at the Department of Atmospheric and Oceanic Sciences, McGill University, and at the Département des Sciences de la Terre et de l'Atmosphère, UQÀM. Richard Dewey is an Oceanographer, with degrees in Physics and Oceanography from the Universities of Victoria and British Columbia, respectively. He built his career as a sea-going observationalist, with stop-overs in Corvallis and Seattle before returning to UVic in 1995. 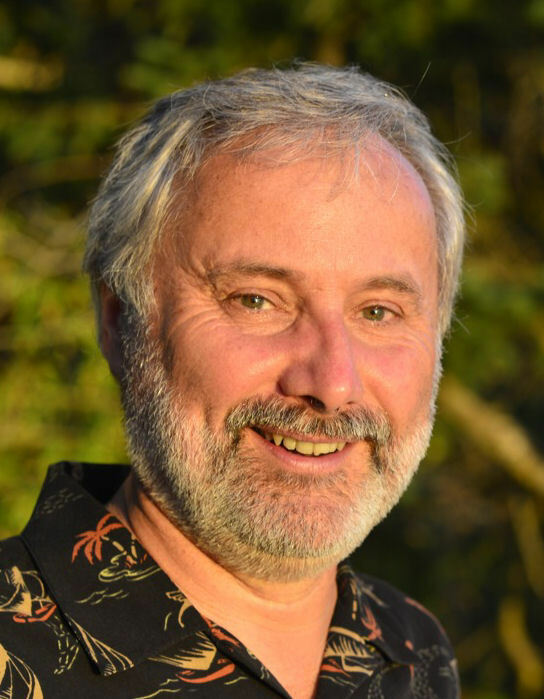 As one of the original architects of the VENUS and NEPTUNE ocean observatories, he now manages the interdisciplinary science programs enabled by the comprehensive systems operated by Ocean Networks Canada, in Victoria. 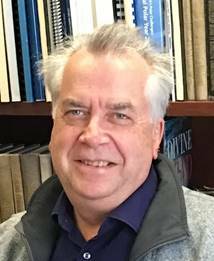 A thirty year member of CMOS, he is proud to represent Canada’s leading role in the world of cabled ocean observatories. With observing comes the demand for explaining strange signals, as was the case in 2014 when anomalously warm waters showed up in the northeast Pacific. Changing extremes - is it real, or just imagined? Today's electronic and print media are replete with stories about extreme weather and climate events from all over the world. These stories draw our attention because of their immediacy and the devastating impacts of these events, which often result in deaths and hundreds or even billions of dollars in damage. whether human activity is a driving force behind long-term changes, and most inevitably, if the particular event just passed was caused by human influence on the climate. Winter precipitation affects all of us in Canada and it is often leads to hazardous conditions. This certainly applies to the precipitation falling near 0°C (including freezing rain, ice pellets and wet snow) but there is still considerable uncertainty regarding its characteristics, formation, detection and simulation. This limits our monitoring efforts as well as our predictive capability at all time scales. Such issues will be reviewed in this presentation. 1992 Jim Gower Satellite Images - Where are we after 20 years? Note: For many years these Tour Speakers were supported by AES and DFO.